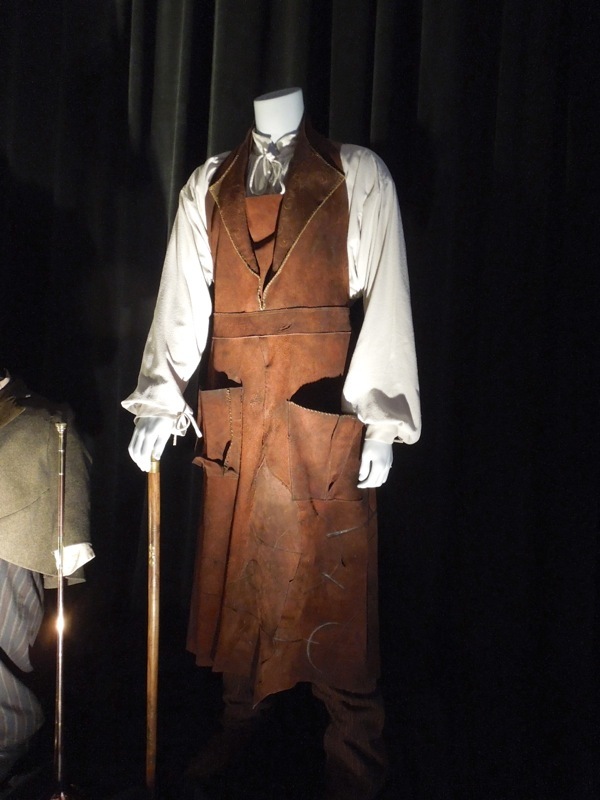 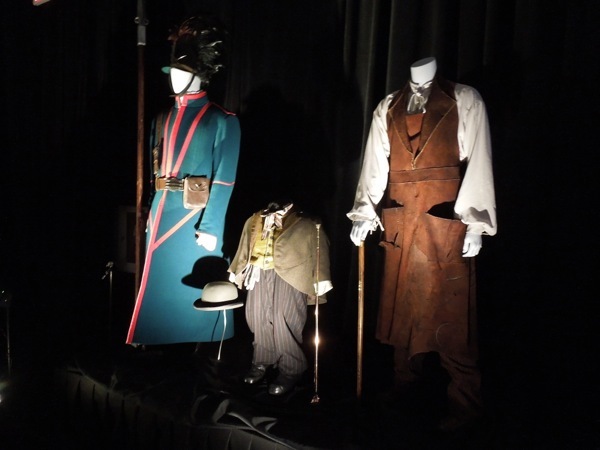 One of the key stories at The Treasures of the Walt Disney Archives at the D23 Expo in Anaheim on August 9, 2013, was the land of Oz, with original costumes and props from both 1985's Return to Oz and the more recent 2013 box office success, Oz The Great and Powerful. 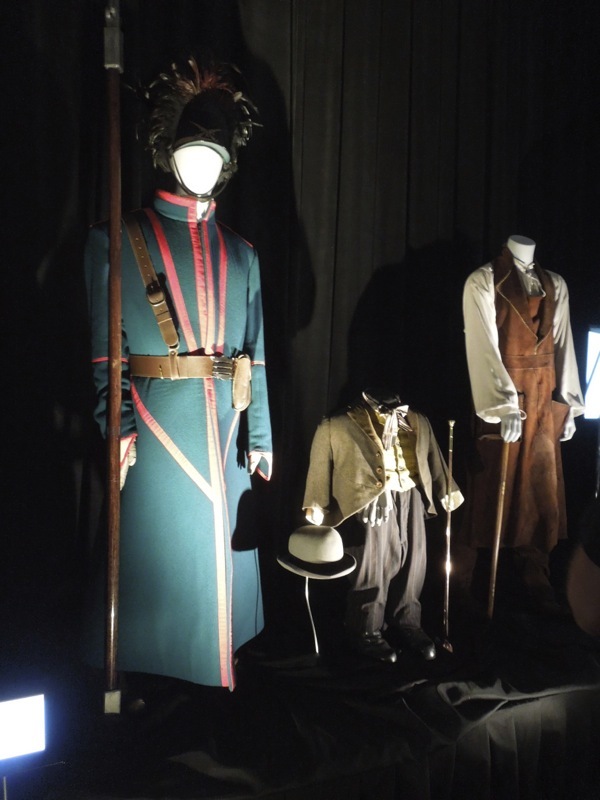 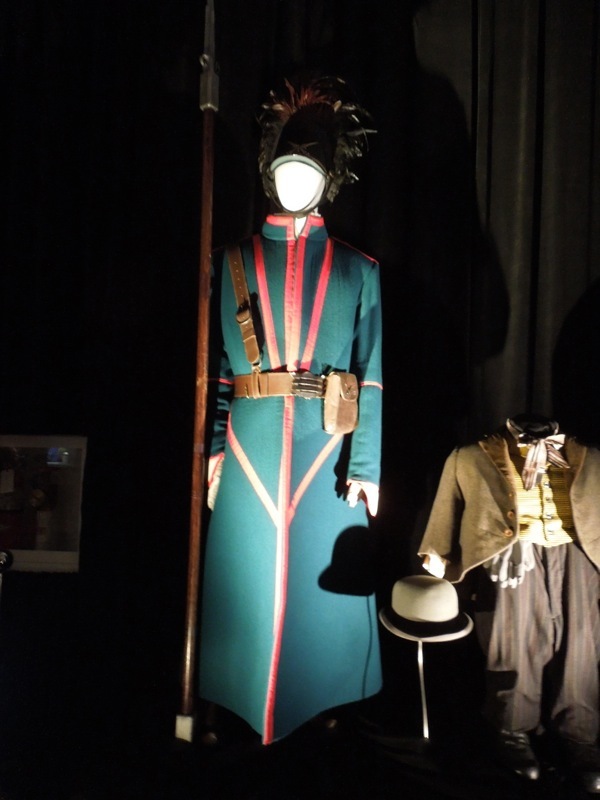 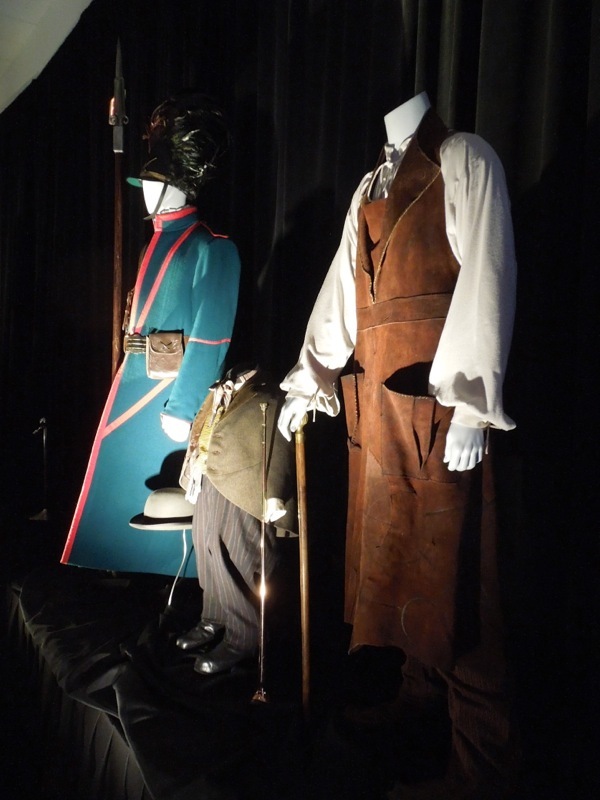 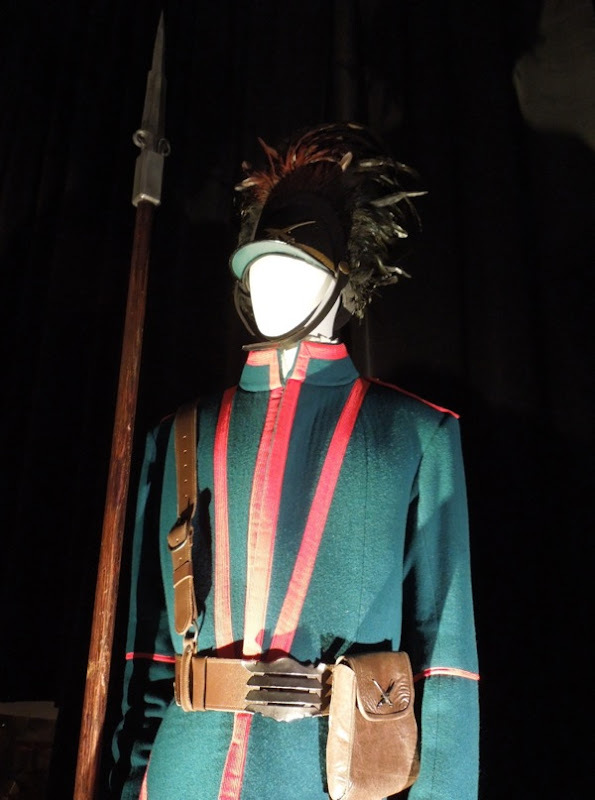 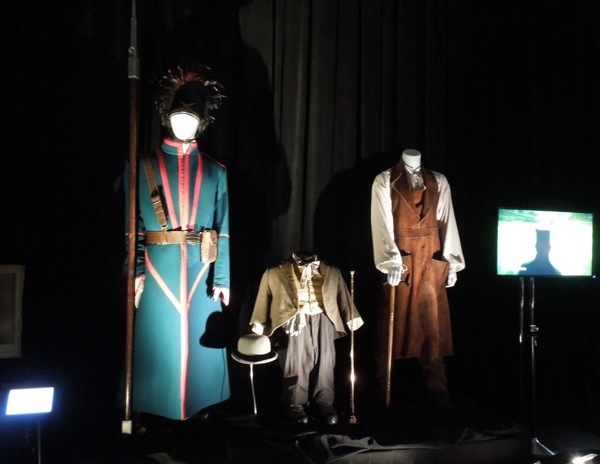 I'd previously seen the fabulous costumes worn by the witches of Oz on display, but not by any of the secondary characters, so it was a delight to see these three costumes from the new movie, including a Winkie Guard uniform, the outfit worn by Munchkin herald 'Knuck' and the 'Master Tinker's' costume. 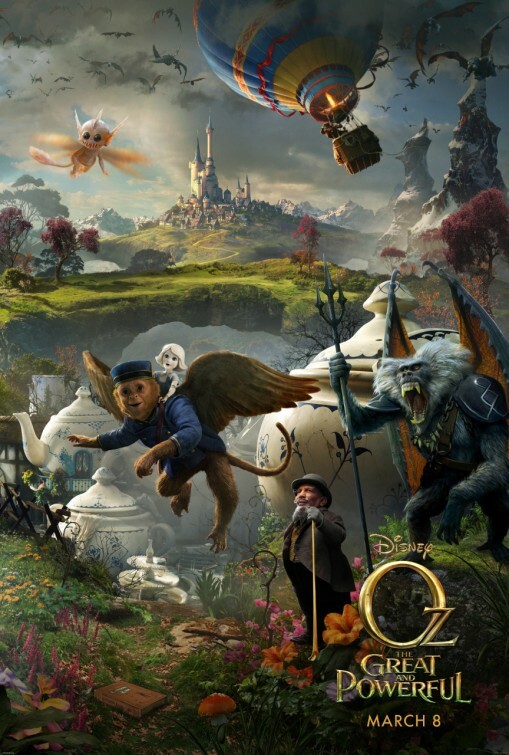 Inspired by L. Frank Baum's fourteen Oz books and reverential to 1939's iconic musical The Wizard of Oz movie, this new cinematic outing told the prequel story of how the 'Wizard' arrived in the Land of Oz and the backstory behind the trio of good and evil witches. 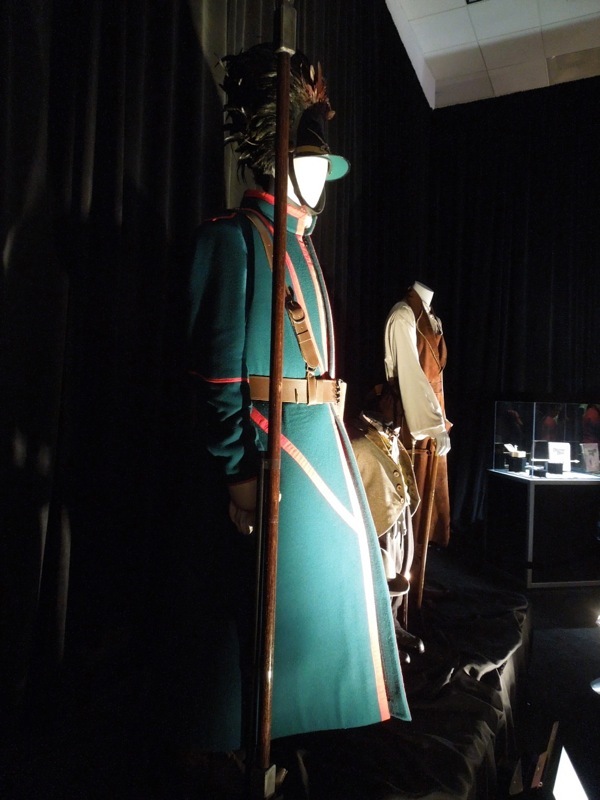 The tall Winkie Guards are the military foot soldiers of the Emerald City and in this film version they served 'Evanora', the Wicked Witch of the East. 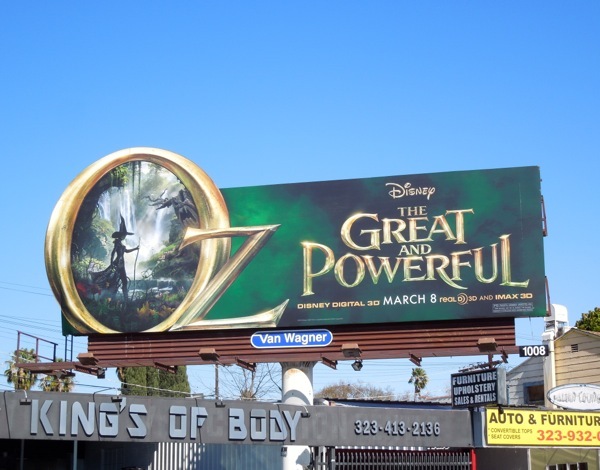 In the movie Tony Cox plays the grumpy Munchkin 'Knuck' or 'Sour puss' as Oz refers to him, who is the Emerald City's herald and fanfare player, plus secret ally of 'Glinda', the Good Witch of the South. 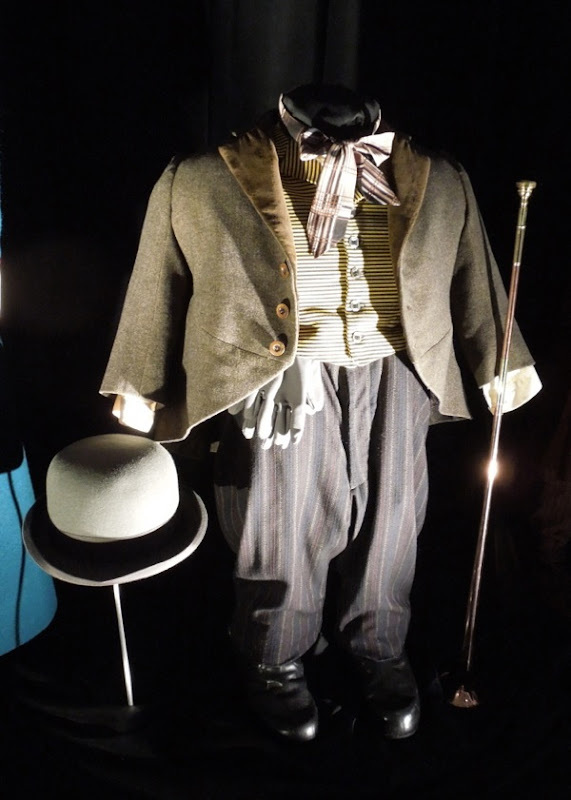 Bill Cobbs plays the elderly Master Tinker, leader of the mechanics, inventors and scientists, the Tinkers, protected by Glinda and the implied creators of the infamous 'Tin Man'. 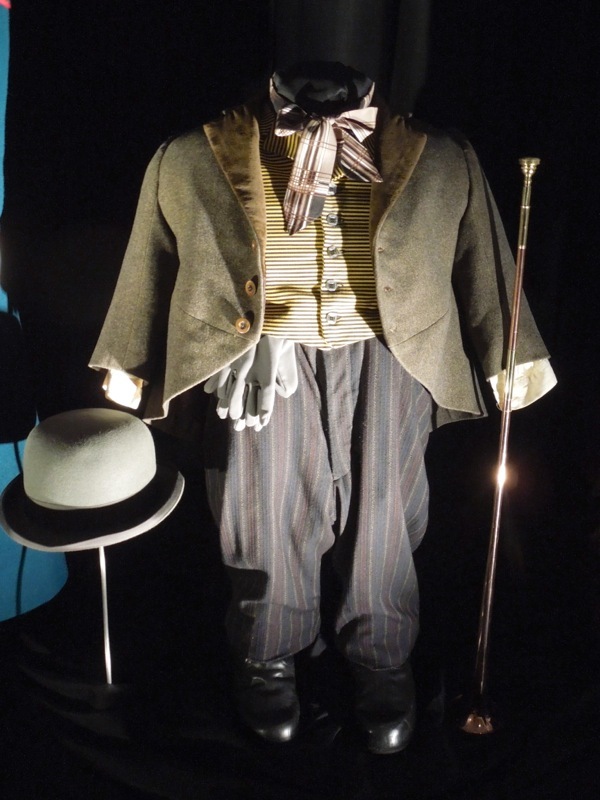 These clever makers aid Oz by building the incredible mechanisms and tools that help him create the spectacle of his elaborate magical illusions. 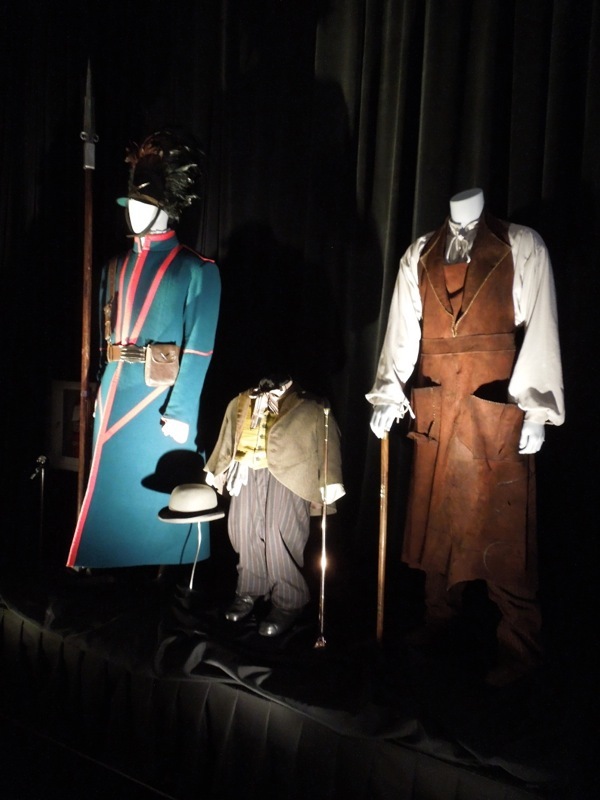 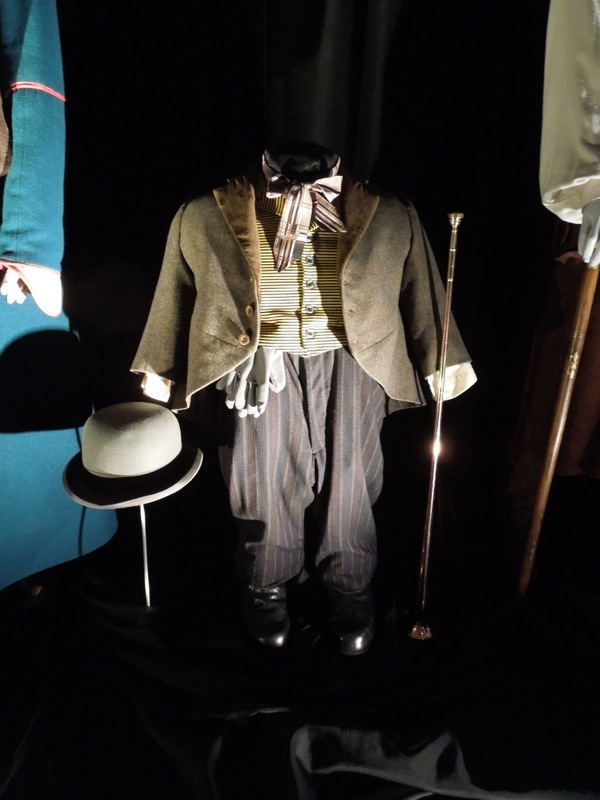 In addition to this trio of supporting character costumes the D23 Expo exhibit also had this cool selection of significant props from the film. 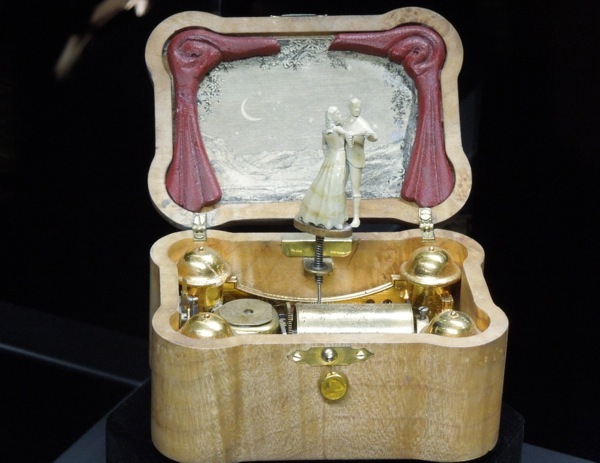 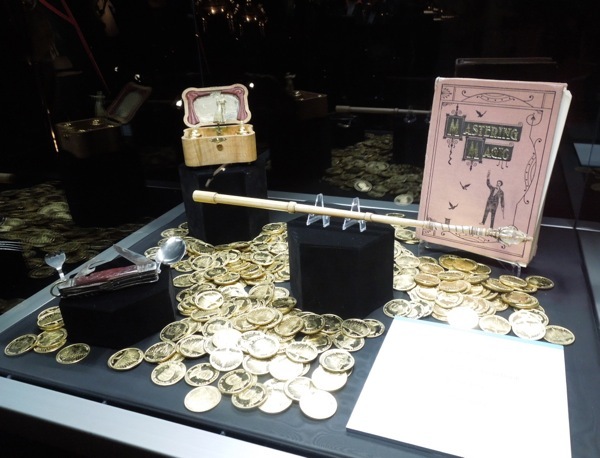 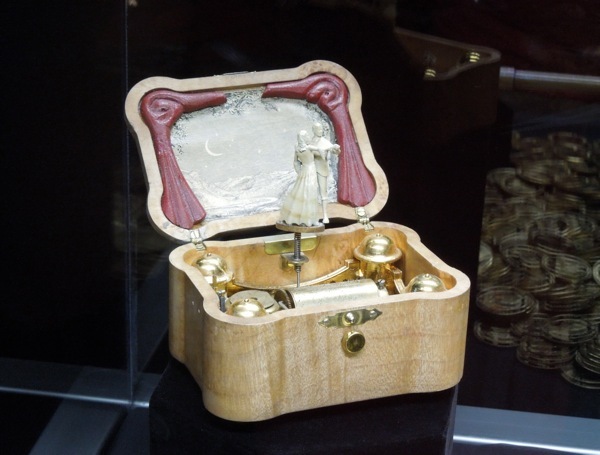 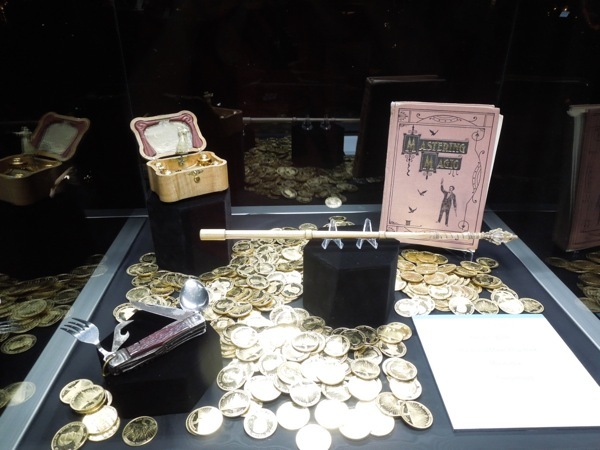 Included in the display was Glinda's magical wand used by Michelle Williams, Oz's 'Mastering Magic' book, the 'thingamajig' utility pocket knife that Oz bequeaths to the Master Tinker and one of the music boxes that 'Oscar "Oz" Doggs' gives to his many lady loves in both Kansas and Oz, which he claims belonged to his dead grandmother. 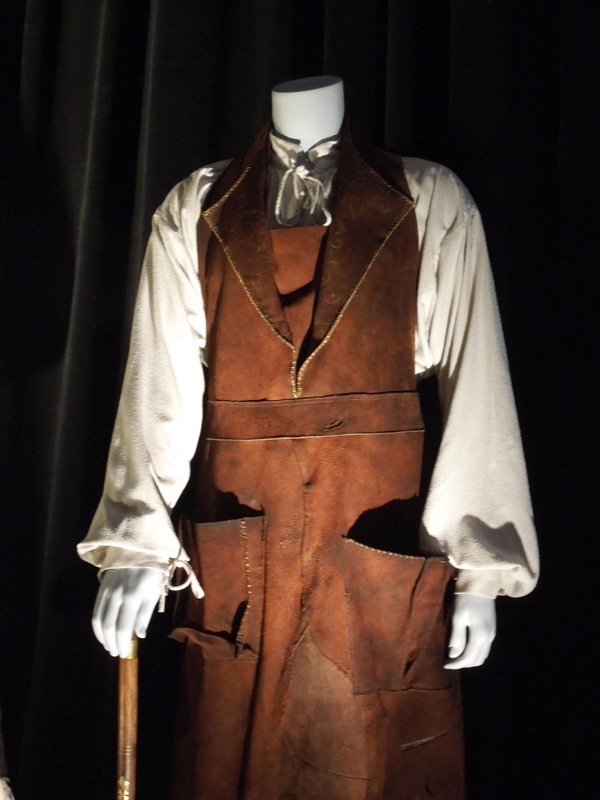 If you like this items (including the golden treasure promised to Oz for slaying the evil witch), be sure to also check out these other original screen-used props from Oz The Great and Powerful on display at the El Capitan Theatre in Hollywood when the movie was released in cinemas in March 2013. 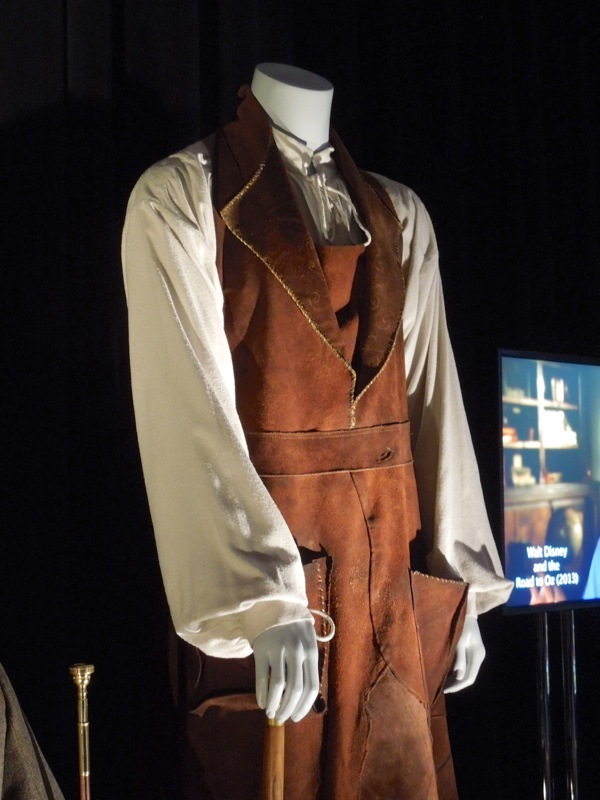 Be sure to come back in the days to come for even more costumes from the movie on display at Disney's D23 Expo.